- XYj Ceramic K nives are hand-installed by our craftsman in order to make the handle and k nives forged together tightly, perfectly leaving no interspace between the handle and the blade, which less factories can do this. 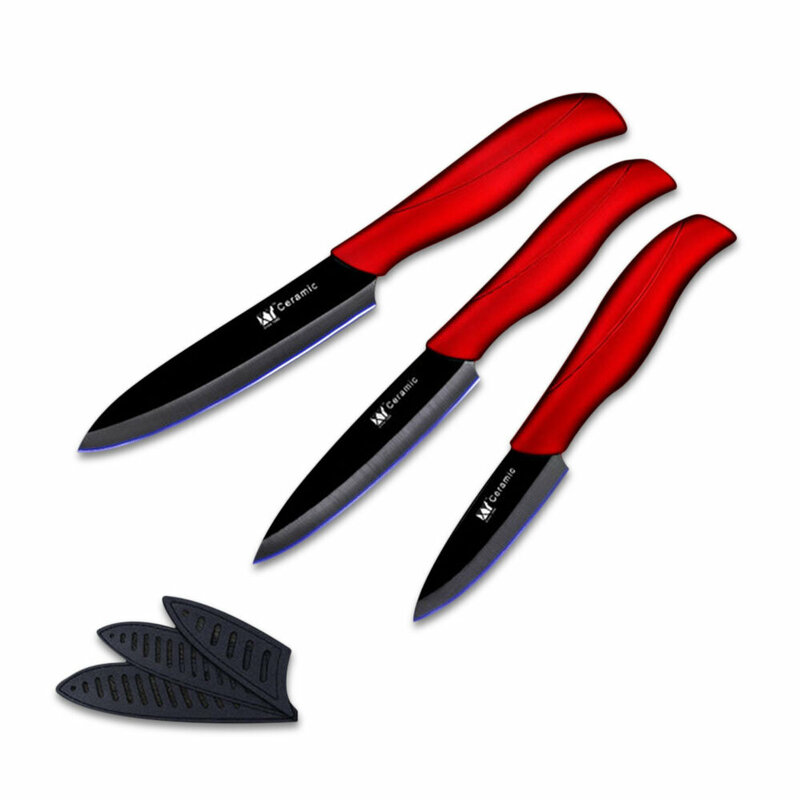 - XYj kitchen k-nife can achieve ultra-thin slicing and dicing while gliding effortless through meat and vegetables. No more squashed tomatoes or messy presentations. - XYj hand-polished edge is up to 10 times longer than steel, That means wasting less time in repeatedly sharpening your k nives. - XYj ceramic k nife blade are completely BPA free, leaves no chemical leakage, use germ resistant ceramic, are nonporous, and will never rust.